ITM , as a leader entity on teaching automotive advanced technologies, has successfully bet on an innovative, creative and a dynamic line of advanced official tertiary education since 2005. This course of studies has the advantage of being a short and specific career. It facilitates the incorporation of the students to the working world, as well as it promotes the professional development through a solid professional training of a high level of requirement, meant to satisfy the needs of the speciality. ¿What advantages does this course of study offer? academic level with official recognition. It is a short 3-year course of study . to the needs and requirements that crop up in the market. It has reknown professionals in charge of the classes. What is the graduate´s profile? 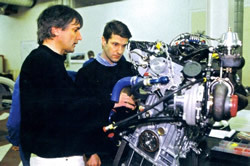 The High Technician in Automotive Technology is a professional that will be qualified to: organize, program, execute and control the technologic and administrative operations linked to the automotive and light machines (their design, operation and repairing) and coordinate working teams related to their speciality. Why study at ITM Institute? ITM is an enterprising, based technology institute with a growing reputation for excellence in education. Our students become highly employable, going on to successful careers in sectors automotive. ITM offers High-quality of education to an accessible cost. Buenos Aires is the dynamic metropolis of Argentina , it offers a charming combination of European tradition and Latin attitude. Often called the "Paris of South America" for it's wide boulevards and active sidewalk cafe life and home of the tango, Buenos Aires is one of the world's greatest cities. Porteños like to boast that their city is home to over 300 theaters, 100 plus galleries, and at least 70 museums. It is definitely the most culturally creative city of the southern hemisphere. - What advantages does this course of study offer? - What is the graduate´s profile? - What is the graduate´s working field ? This initiative is part of the ITM Institutional Educational Project. ITM students, throughout the last two years at college, participate in the construction of a car, where various subjects are devoted and applied to make the necessary contributions to this project. This is an outstanding project in the educational history of the country.  Administer and participate in quality programs.  Transmit and receive technical and company information.  Interpret technical and financial information.  Evaluate costs and benefits of the projects that he manages or that he participates in and make up budgets, financing and interests.  Provide information to collaborate in decision making.  Interpret and apply the current rules and legislation in his respective field.  Plan, as part of a team, maintenance and production tasks taking on complementary roles. 2. 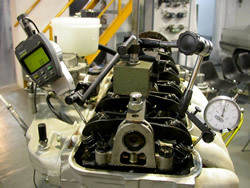 Apply the scientific principles that rule the operation of vehicles and machines.  Analyze and intervene in the subsystems that make it up.  Produce and interpret technical, graphic and written communications.  Select material and transformation processes for specific purposes.  Design and use automation and control systems.  Use machines and tools properly.  Use measuring instruments properly and interpret their results. 3. 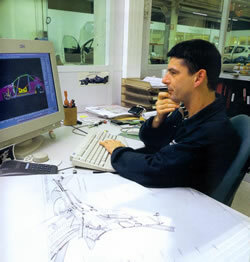 Be part of the design, repairing, and use of automotives and light machine units.  Identify flaws, repair, calibrate and adjust machines and engines following instructions and/or maintenance and service manuals.  Interpret, use and update technical manuals and maintenance rules, service and productive processes.  Use equipment with IT support in the different operations of the company. 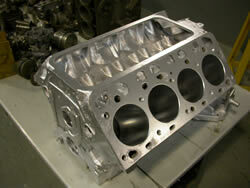  Apply criteria of the Automotive Engineering to make repairs according to manufacturing rules.  Process information in English.  Plan and perform preventive and predictive maintenance tasks . 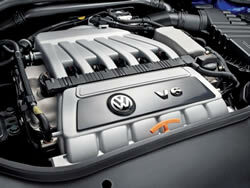  Tune up and repair light mechanics units in general. What is the working field of the graduate? Through the Automotive Technology course of study, the Higher Tecnician will be able to develop his activities in large and medium-sized companies and in micro business management as well as in the tertiary sector. The Higher Technician´s roles will range from strongly specific to particularly global negotiations; varying according to the technological content, type of size and negotiation of the company which he works for. In larger companies he participates, from his specific tasks, inside the “maintenance team”, increasing the participation in the most strategic aspects and the decision-making as the size of the company decreases. The coordinated work , in teams and interrelated with other sectors occupies a key place in the activities of the project , design and negotiation. Cobra Project. Second year, mechanics assembling, air suspension and brakes. The Technologist degree is done in six four-month-periods of theory and practice with a total number of 1824 horas cátedra. Mondays through Fridays from 8.30 a 12.30 hs. Limited vacancies. Enrolment closes when we get to the maximun quota. Wednesday 4 th , March from 8:00 to10:00 am. Monday 1 6 th , March at 8.00 am. Third year classes start: Monday 17th 18.30 pm. Tuition for the 2009-2010 Academic Year is U$D 2,185. per year. Monday through Friday from 8 am to 12.30 pm.